If your not an avid cyclist , this blog post is probably not for you. If you have a Strava account, if you mountain bike or road bike, or if you purchased a bike because you would like to 🙂 than you should consider reading this post. I am not writing this post as a business owner but as someone who very much likes to ride my full suspension Cannondale and believe it or not my rigid steel frame Raleigh single speed. Let me add this disclaimer. We are new to the sport. Had I known then what I know now, I would have made my purchases very differently and I am in the business. (EDITOR NOTE: We are filming a video on this subject and itwill be added to this post)If you are one of those people who want to jump to the end of the book, let me sum it up for you. 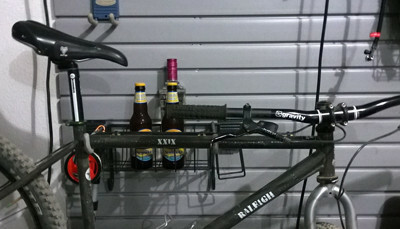 For a real bike, this is the only bike storage rack I will ever buy again. Below I will explain why and also tell you what the other options are good for. 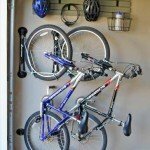 This was actually the first bike storage system I purchased. It is a very cool idea for ‘family bikes.’ You know what I mean, the inexpensive bike you purchased at one of those big box retail stores, thinking you would ride a couple times a week. Or the bikes you got the kids that they take out from time to time. We still have one of these in our garage. My bike will never touch it and neither will my wife’s. 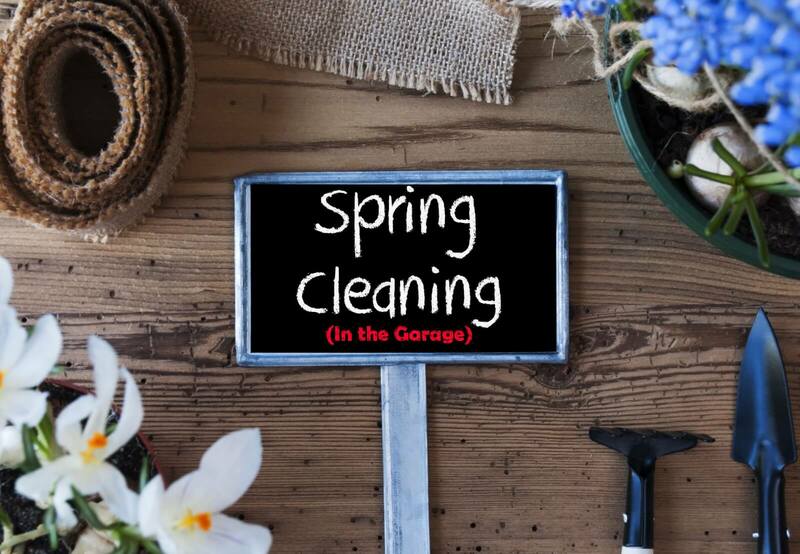 We use it for the kids bikes. We do have one child who is trying mountain biking and they have an entry level Raleigh. That bike is no longer stored on this rack either. 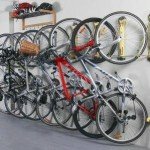 Pros: You can store a lot of bikes in a really small space and spend very little money to do so. Cons: It is a real pain to get the bike up and down, and personally I believe you risk damaging higher end bikes. It seems to put a lot of stress on the rims and I just don’t care for it. 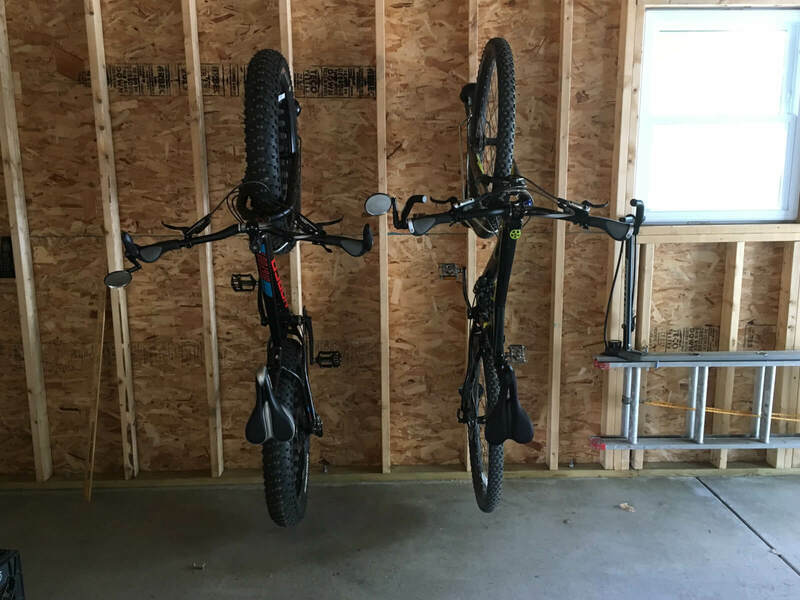 Also you have to put it up high enough for the tallest bike and this means you are lifting several bikes way off the ground — the kids cannot get the bikes on and off by themselves and my wife is hesitant to fuss with it. We have not added these to our website yet, but we will be. 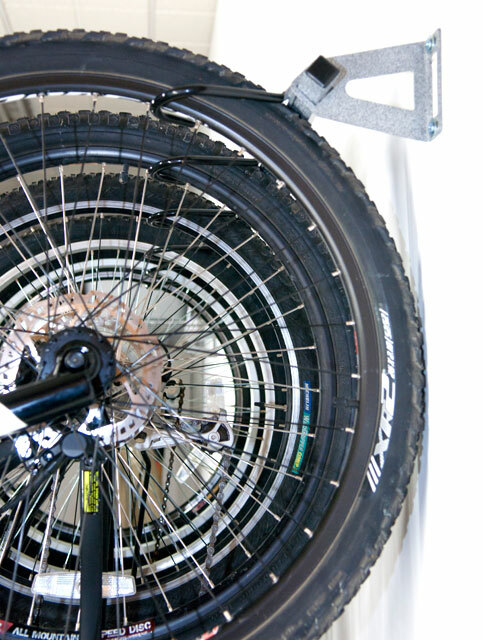 They are not perfect and the ease of use depends a little on the bike you are trying to store. If you have high ceilings and limited space, they can be a great option. HINT: If I used a roof top carrier or the bed of a truck to transport my bike this might be the way to go. 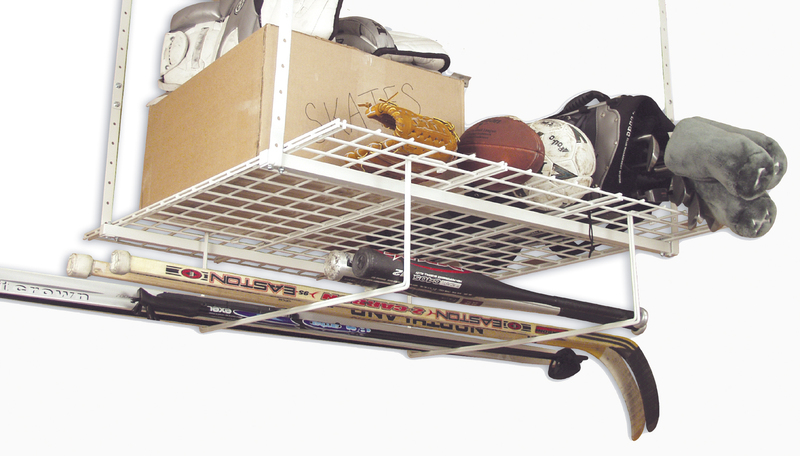 From gravity racks to monkeying around and even hoisting things overhead, SteadyRack is very frankly the only solution I have seen that works the way it should. The ONLY possible drawback is if you used something larger (wider) than my WTB Bronson 29er tire it might not fit (29×2.2). You buy each rack individually. 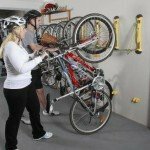 You mount it at the height that is appropriate for the bike and you roll the bike onto it. We are re writing a US English version of the installation instructions for our customers, because their instructions are goofy at best. We have 6 ‘cheap kids bikes,’ one youth front suspension bike, one adult steel rigid single speed 29er (Large) , one full suspension adult 29er (Large) , a front suspension adult 29 (Small) and and old Trek hybrid. 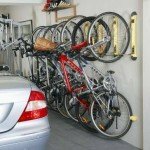 There is not a single bike that we own that will not work with this storage system. The way the tires sit in it, my bike is protected from damage and very little stress is applied to the bike itself. 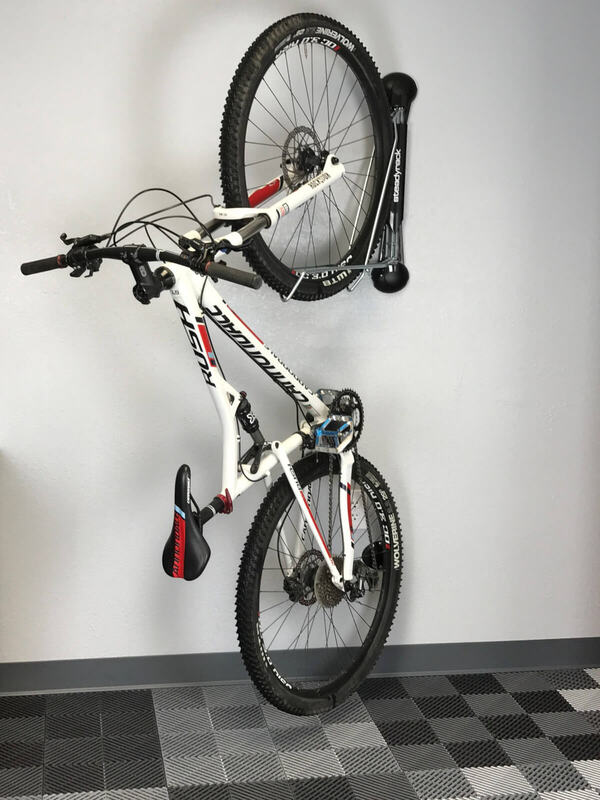 Other than the price, and some goofy install directions, its just the best way for a serious cyclist to store their stuff!